HJ: When we live in the flow, we let go of how we think life should be and invite the unlimited possibility of the moment into our life. If we are attached to how things should be, rather than letting them unfold organically, we miss all kinds of opportunities for expansion and growth that are only available to someone open to whatever the flow brings them in the moment. You never know what a person, experience or circumstance is going to lead you to. Your mind cannot comprehend the infinite possibilities available to you at any given moment. The mind is finite and can only see a few steps ahead at best. But the things you seek may be 10 steps ahead and so in order to find them, you must be in the flow. This means letting go and following your excitement instead of what you think is the right way. It means tuning into your emotional guidance system, also known as your intuition as your main driving force forward in life. WE LIVE OUR LIVES AS A FEATHER BLOWING IN THE WIND, desperately trying to work out where the feather will land or control which direction it will take. In truth, we never know where our feather takes us – and this is a beautiful thing – to allow the feather to breeze through existence with eternal freedom and infinite possibility. If we look at our lives, we see that there may be control everywhere. We attempt to control our thoughts, our actions, our perceptions, our futures, our emotions, the people around us, our careers, our behaviours. It is all a reflection of a philosophy based in fear, where we assume that control equates to security. We assume that if I know the result of this series of actions then I will be safe. If I know what this person is thinking I will be safe. If I know why all this is happening to me right now then I will be safe. If I know what I will be doing in 3 months time I will be safe. The paradox of control is that all it does is generate more insecurity! For as we continually look externally for our security – the future, other people, facts – we are continually at the whim of the external world – which is always changing. We are also basing our future expectations on past experiences, limiting our future experiences! Because it does not open us up to new experiences, ones we have never experienced before. We can never know what we will be doing in 3 months time. We do not know the reasons behind all the things that happen to us right now. It is our fears of the unknown that drive us towards creating a pretence that will satiate us in the here and now. So how do we Live in the Flow? Living in Flow requires us to take each moment as it comes and BE within it. What are we feeling? What are we feeling right now? This is the most important aspect of being – it is our emotions. Is it happiness, is it anger, is it joy, is it fear? And we look from our non-polarised eyes and see it without judgement. We do not label it, we recognise that all emotions are pure. All of them deserve the attention and expression as any other emotion. And we practice this with whatever emerges. Because it is within these emotions that we are given our divine guidance. Consequently we are allowed to grow at remarkable rates because we are doing all that our soul is asking – to release what is flowing through. Remember, your emotions are flowing through! Emotions, or e-motion, is energy-in-motion. It requires movement, it lives in movement. When we are not allowing our beautiful divine emotions to flow through us, we are denying a part of ourselves and causing that energy to block in a various aspects of ourselves. This then like any blockage causes us suffering in our lives. Another step is for us to allow for everything in our current reality. For when we allow for what is currently occurring, we accept ourselves as the Creators of what is occurring. We also allow the energies to flow because it is important for us to remember there is the whole of existence involved in this Creation. We allow, and energy moves and we move on to the next experience. Remembering that each experience is divinely meaningful, which we can use for our growth. One of the key aspects of living in the flow of life is to have faith in the process. The process is the Universe! To be in flow is to trust that all things have their divine meaning. This is not simply hope, for hope is anticipation mired with doubt. Faith is to be naked in the knowing that you will be clothed. It is the faith that there is a complexity to life that is beyond our current understanding. It is the knowing that the unknown is a place of true safety, contradicting what our fears (and our societies, reflecting or fears) have taught us. Faith can be the process of surrendering rigid fixations on having to know why or how things work and accepting the fact that we are on a learning path. Therefore we do not need to know how everything works! Our fears cannot accept the unknown because the unknown represents in-security and instability. However, it is from this unknown where miracles are born. It is the complete surrender to faith that we open to the deepest truths of the Universe. For we have no expectations, needs, attachments – we know instead that we are part of something magical. It is that knowing that frees us into accessing it. As we release our emotions we also look at each moment as powerful signs. When we surrender to the moment, we dissolve all expectations and attachments, we embrace our natural state. In that sacred moment we become at One with the entire Cosmos. And it is in this holy instant that we are fully open to all the Divine guidance and loving miracles that are always available. Divine guidance is speaking to us constantly, every moment of our lives. The Universe speaks to us in gentle whispers, never wishing to infringe on our sacred free will. When we surrender to each moment and see each as perfect, we let go of our mind’s control of our reality – in other words the constant revision of past events and future ones. Instead we become truly focused on what is happening in our space right now. We see each event as highly purposeful and meaningful, we direct our energies here and now. We listen, we feel, we acknowledge our current emotions and give them validation. We release and express. Divine wisdom flows from our hearts. It flows through our being. Our hearts are continually singing our unique notes into the Universe, merging with other notes to become the chorus of Creation. This Creation is what we are experiencing. This note exists in the eternal present moment. The more we are here, in this moment, the more we can recognise, feel and resonate with the sound of our note – and follow its divine guidance. And as we flow we begin to tap into the magic of the Universe, where by living in a state of surrender and humility, we allow for synchronicity to become a true force in our lives. Each moment our heart is speaking about something that it resonates with – “this would interest us”, “I feel connected to this person”, “I like what that person said”, “writing this makes me feel connected”. When we listen to our heart and follow it, incredible miracles occur – for that is what they are – miracles. Profound sacred moments that we honour for the whole of creation has been involved in bringing it to us! Following these signs, lead us to greater opportunities that serve us. To follow our heart, we surrender to the magnificence of creation, we surrender to each moment – understanding that we create our own reality and we have created all of this. We do not need to intentionally control our creations, we are here to live in the mystery of life, we are here to enjoy. If we have trouble with what to do or where to go, we only need to look at the majestic teachers entering our plane on a daily level. Children are our teachers for living in flow. They bring that knowledge, wisdom and ultimately – being. 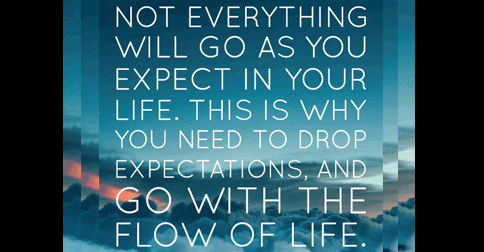 It is being that allows us to live in the flow. Being. Being with every emotion that flows through us now. Being with every action and interaction that is occurring to us now. Being with everything around us now. And Being with all of it without judgment, coming from Love. When we are in a state of being, we are in true joy – for we are recognising that life has literally just been born. We have just been born into this moment, where yet again a new Universe has been born for us to experience. You may be feeling an emotion related to a past event, yet if you are feeling it now, honour it. Express it. Release it. Releasing can come in many forms, writing, expressing to another, drama, exercise. As long as we acknowledge the emotion for what it is and allow it to flow. Remember the Universe is constantly guiding you towards your highest goals and purpose – constantly! That is the only way the Universe can work! The Universe is not against you, it is gently showing the way. It is you! When something is blocking in our lives, it is a clear sign it is not working. How do we know? We know because our internal barometer – our emotions – will let us know. We feel stuck, we feel trapped, we feel like we are trying everything and nothing is happening. The message is so clear – try a new way, find a new path. Yet we spend so much of our energies trying to channel our feather down a particular passageway! Our higher aspect realises that this passageway may lead to a dead-end around the corner – yet we cannot see this from our perspective. Simultaneously our higher aspect may see other roads leading to wondrous joy that we cannot currently see on the ground level. Of course our emotions are also signs of aspects of ourselves that require healing, so how do we know the difference between a closed path and one that we are meant to overcome? We know by surrendering to what is happening now. We treat the now as all that exists, for that is the truth! We embrace and release the emotions associated with this current situation and that is where the healing occurs. We will then see paths clear or continue to be blocked, ushering us to find alternate paths. Accept that you do not hold the answers to everything. This is OK! Wherever you are, whatever you are doing is perfect. How do we know that? Because you have created it! That alone is acknowledgement of its perfection. You are a perfect being, reflecting that perfection into the world around you. You are experiencing perfection and the universe is experiencing it through you. The Universe is You. When you surrender to the Universe, you are surrendering to yourself! You are All That Is. You are all creation. The conscious aspect of you here may not know what is going to happen, yet the Higher aspect of you holds all possibilities. However, the beauty of this plane is that we do not know what is going to happen! Thus we birth pure potentiality and possibility. You are capable of anything, any possible outcome – and all, every single path your chose will result in your happiness. For a seemingly negative experience will bring you greater wisdom to increase your happiness for all future moments, a positive experience will bring you happiness in that moment. There are hundreds of billions of stars in this galaxy, billions of galaxies in this universe and no doubt many universes and realms beyond what we know. This gives us a dual perspective. On one level we are deeply humbled by the beauty of eternity, we are a part of a Grand Scheme of Existence that is playing out on a level totally beyond our comprehension. Feel the awesomeness of your surroundings for a moment. Breathe it in and surrender to the magnificence. On another level, we are part of this Grand Scheme of Existence! You are All That Is – you are All of This. This Greater Consciousness is with your every breath, your every action, nothing goes unnoticed by All That is. Do you realise how special you are? You are an integral part of this entire cosmos – watched with a love beyond comprehension. When we surrender to All That Is, we realise that there are many other aspects involved in our lives than our conscious aspects on the grounded level of Earth reality can comprehend. We are the instruments of Love, playing our notes across creation for purposes beyond our understanding. Our resonance travelling into this infinite eternity affecting everything in its path. And we do not need to understand it! When we have faith and trust in the beautiful scheme, we release all worry, doubt, fear and sink into the same knowingness that all children are born with – that life is a wonder to cherish andto play within. Each moment born a new world. Each moment born a new paradise for us to create within. Each moment serving us. Become the feather in your life. Float on the winds of the Universe, knowing that the Universe is taking you into the unknown. Surrender to the unknown and the infinite possibilities that are within your grasp. Feel the eternal safety that you are always cared for by the Great Cosmos, always guided and always unconditionally loved for everything you say, do, think and feel.